RotK has plenty of action, little grey matter. 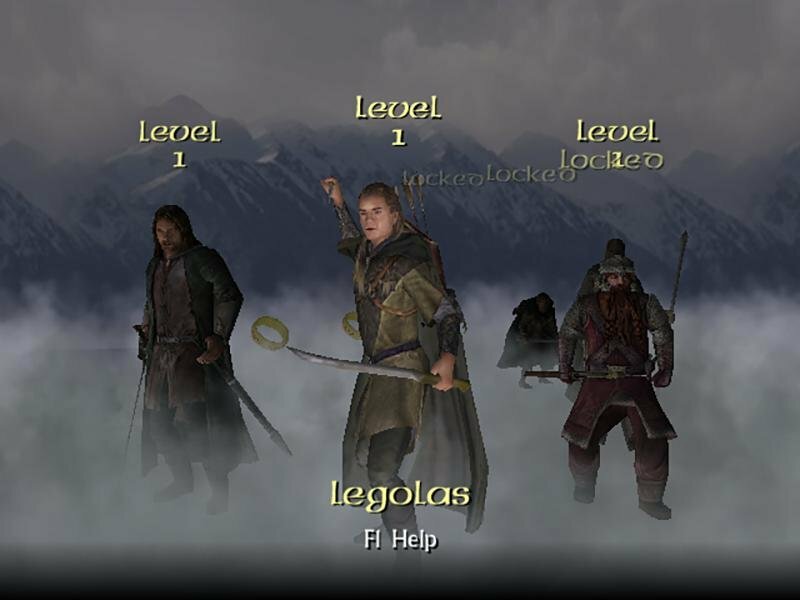 After 30 minutes of gameplay in Lord of the Rings: Return of the King, I was having a lot of fun and was prepared to sing praise to the game. 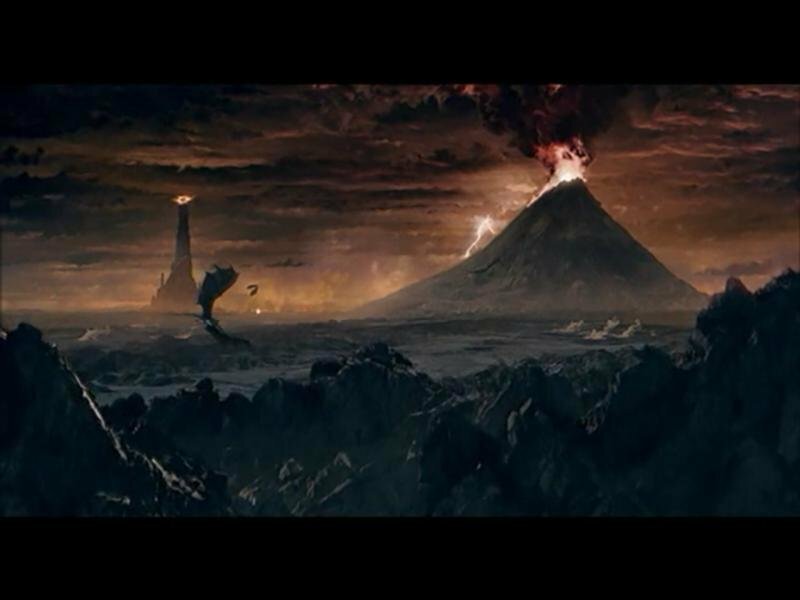 The seamless melding of game and movie — the intensity of Peter Jackson’s exemplary visualization of Tolkien’s world — was strong and lovingly recreated. 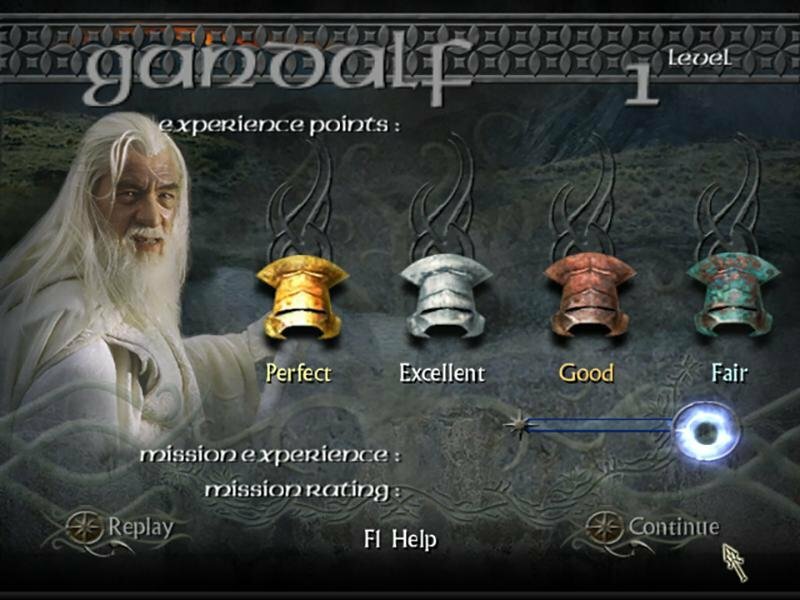 Gandalf was hacking and slashing and laying the wizardrous smackdown on Sauron’s Orcish hordes. An hour later, and my impression of the game has dropped considerably. Part of it is the repetition, but what really gets me is the difficulty. 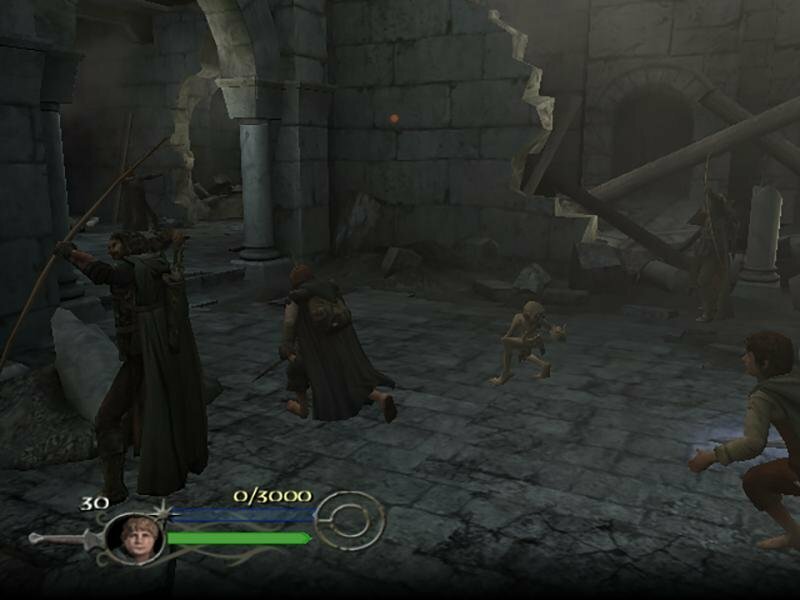 For you see, Return of the King is the most stupidly difficult game I’ve played in a long time. And given its likely audience of casuals looking for a quick action romp, the lack of balance here is inexcusable. 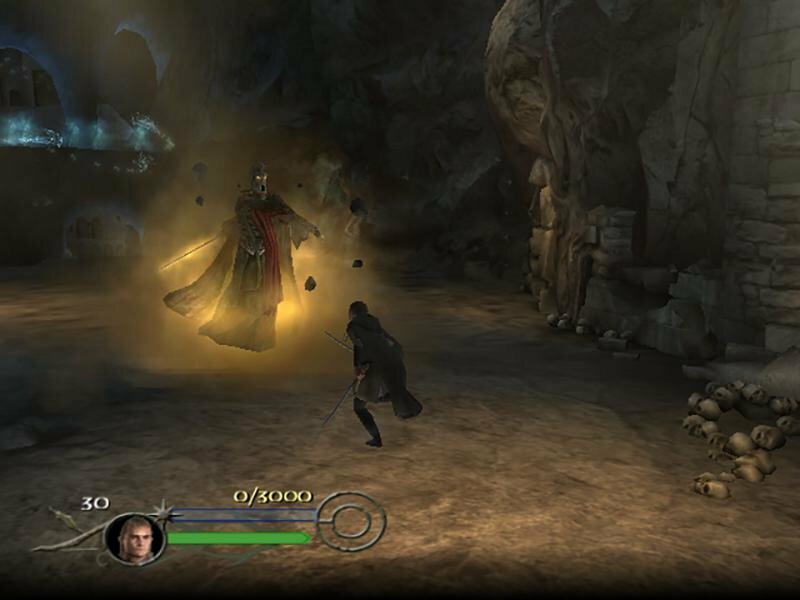 What upsets me most about ROTK’s brainless checkpoint system (nope, you can’t save wherever you want) is that the underlying gameplay is just ambitious enough to elevate it from the usual treatment of movie tie-ins. You follow three paths. 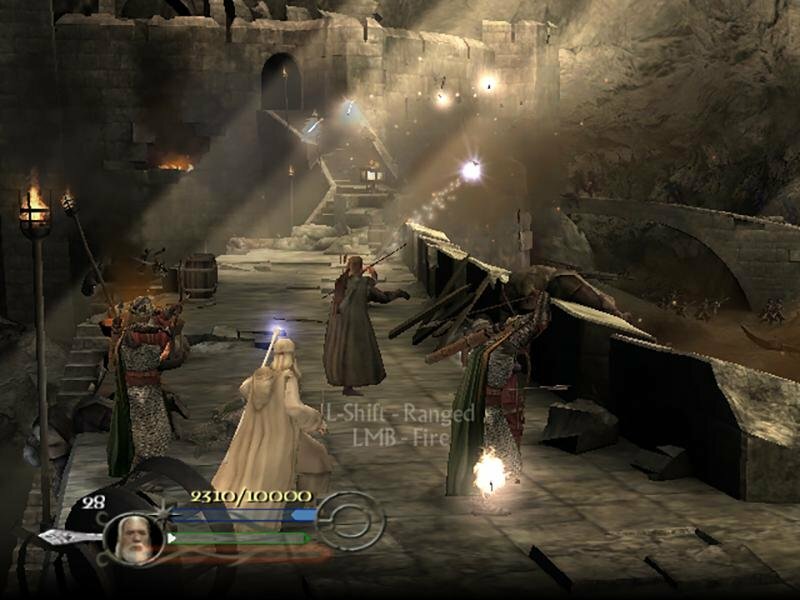 After starting with Gandalf at Helm’s Deep, you can choose to follow the Wizard’s path, defending Minas Tirith on the walls and in the courtyard. 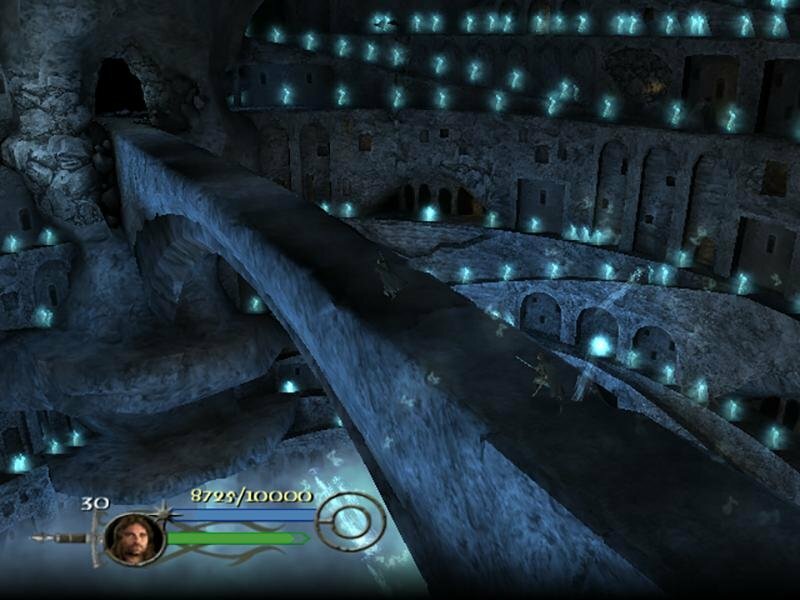 Or you can traverse the Path of the King, tracking Aragorn, Legolas, and Gimli’s route (all three are playable) through the crypts. 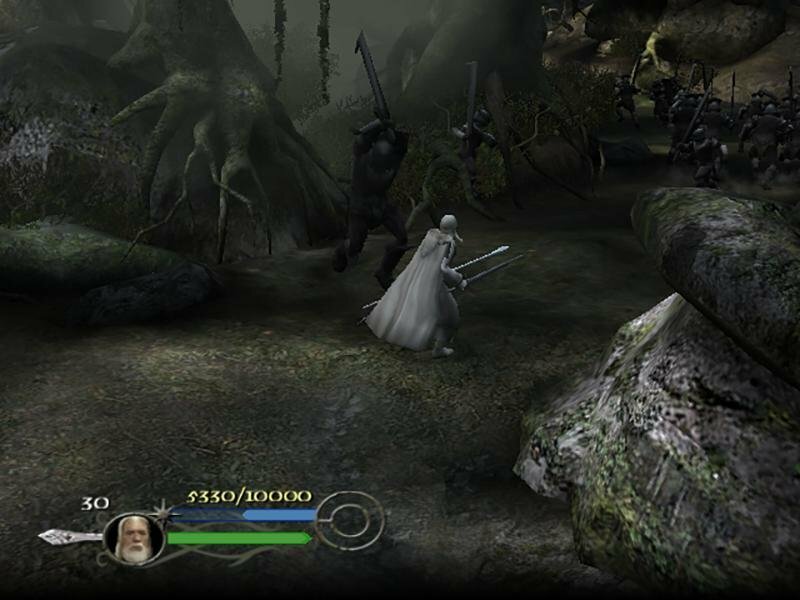 Or instead, you can play as Sam, defending Frodo from the Nazgul and sneaking into Mordor. 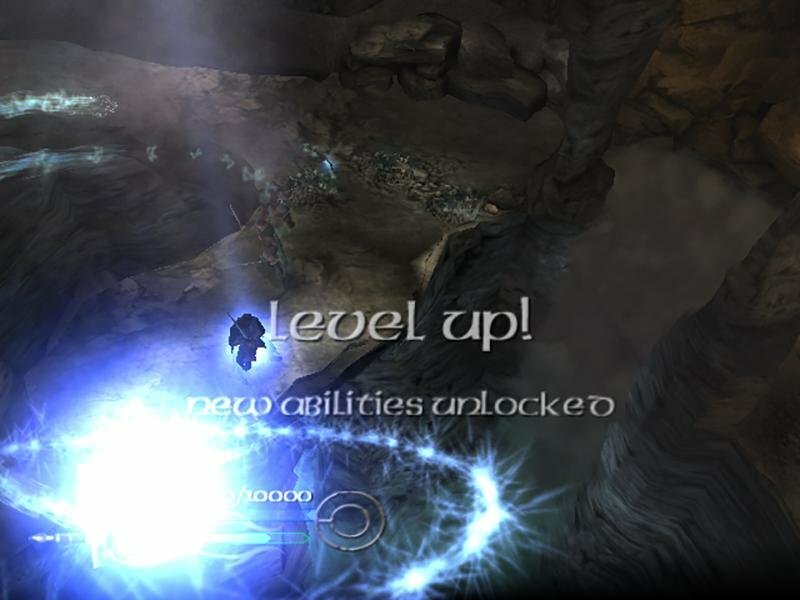 Every playable character gains experience from killing Orcs: you use those points to add powers and combo attacks to your arsenal. 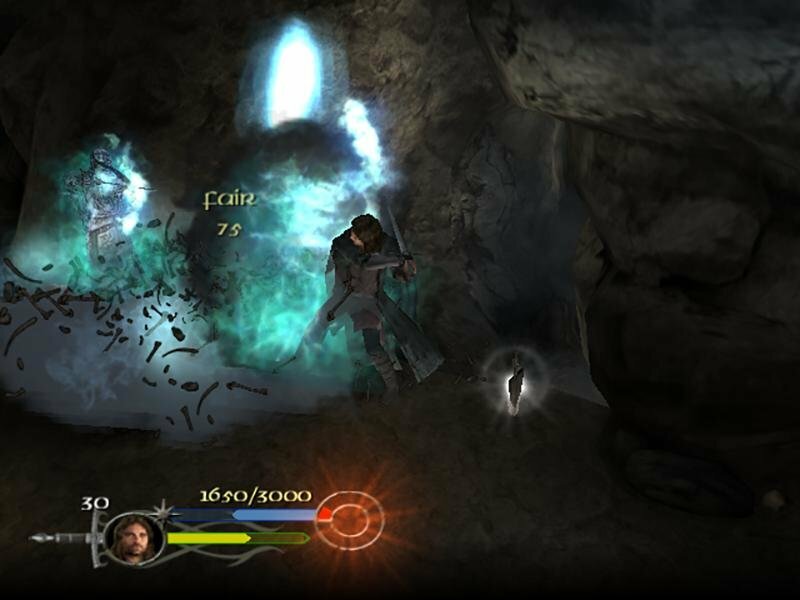 Unfortunately, every character plays essentially the same, although as Sam you do have a special cloaked invisibility effect you can use to sneak past some foes. 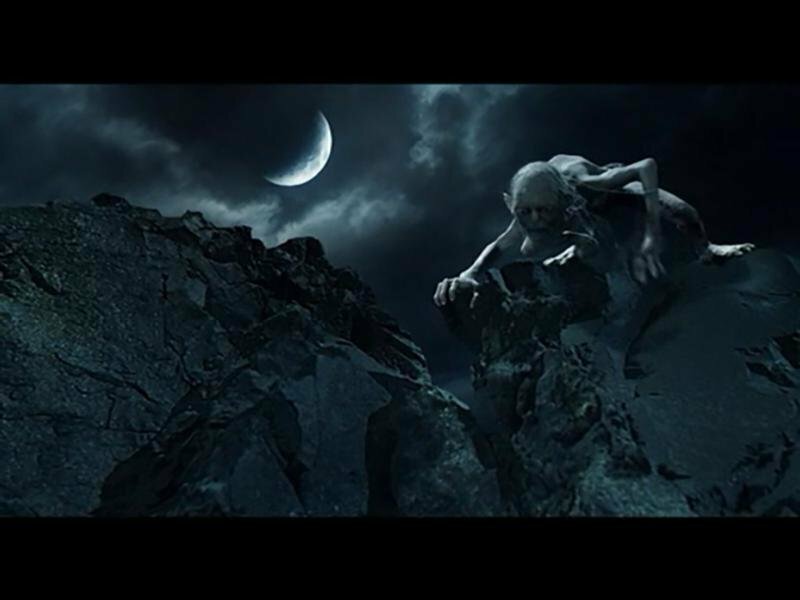 As Gandalf or Gimli, you’re essentially playing a different model with very similar powers. The combo effects themselves are virtually worthless — whether you’re playing with mouse-and-keyboard or a gamepad, all but the simplest combos are virtually impossible to pull off. Each level throws you some viscerally spectacular scenes, but too many of the all-out melees are thwarted by shifts in the camera angle that seem devised to throw you off. 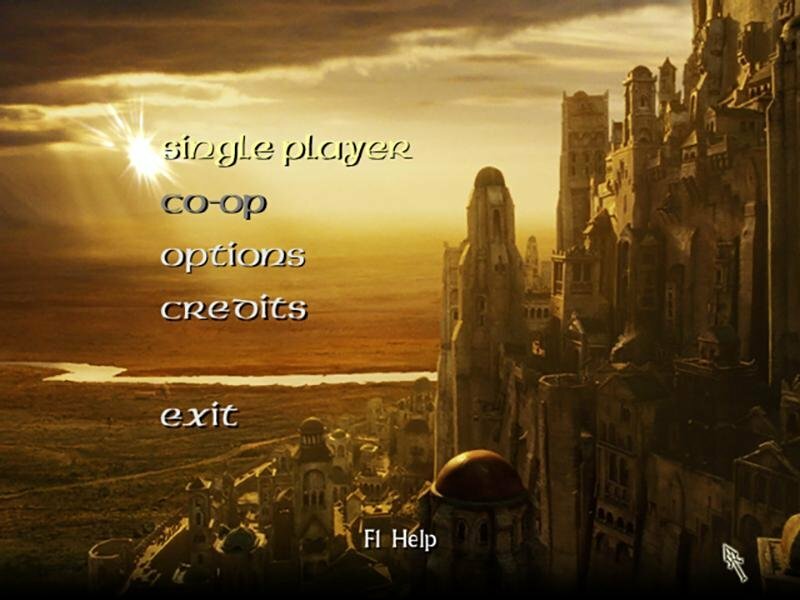 Even when I cranked the game down to Easy difficulty, finishing off the Crack of Doom conclusion still took forever. 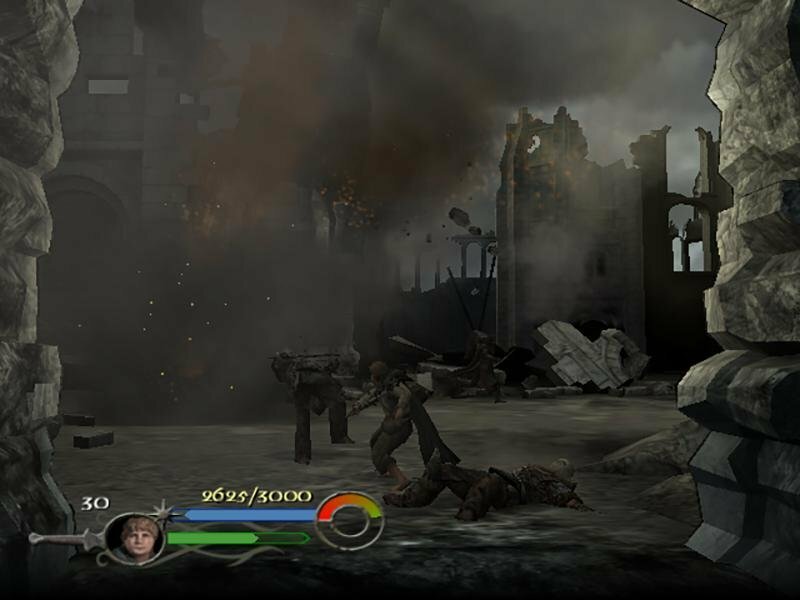 Criminally, such slogfests totally undermine the bad-assedness you feel as the movie clips swirl beautifully into game-rendered scenes where you’re thrust knee-deep into the action. 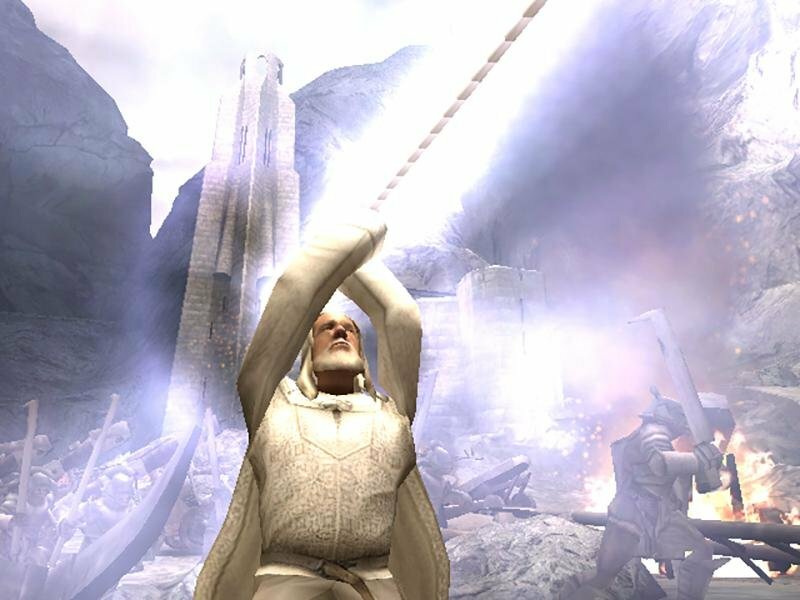 Gandalf can die only so many times before you’re calling for a white flag. 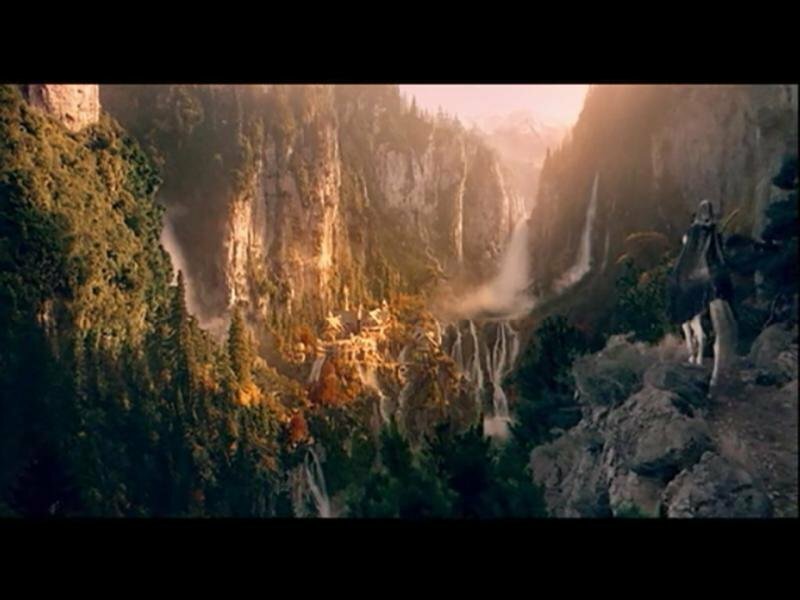 Progress is rewarded with DVD-like extras — Sean Astin pimping the game, Ian McKellen pimping the game, Elijah Wood pimping himself. 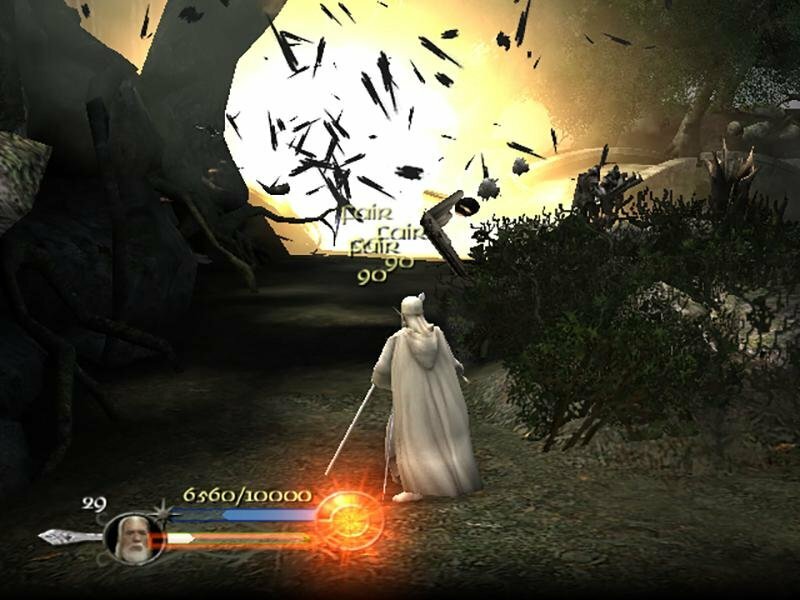 Ultimately, you get to unlock additional characters, and you can play through the other paths as any character. 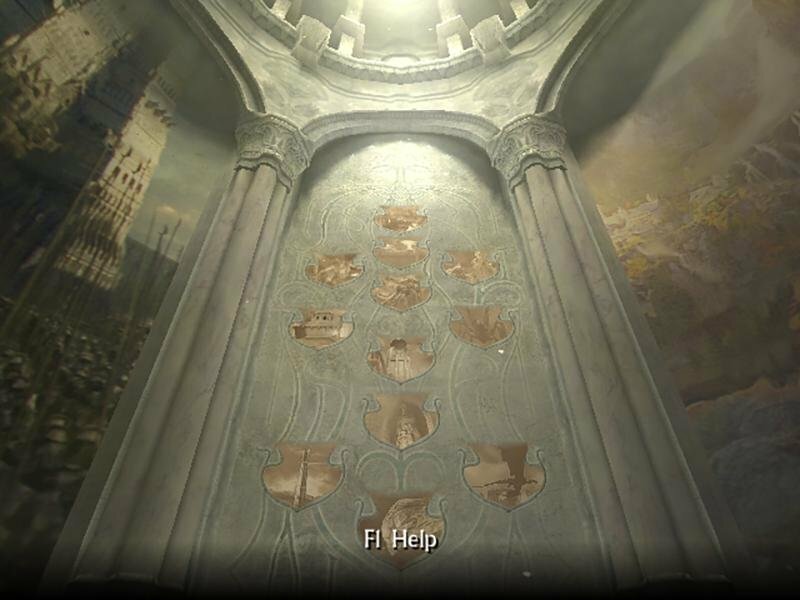 This function alone adds enough replayability to make the artificial difficulty even more stupefying. It’s ultimately too simple and pointless. 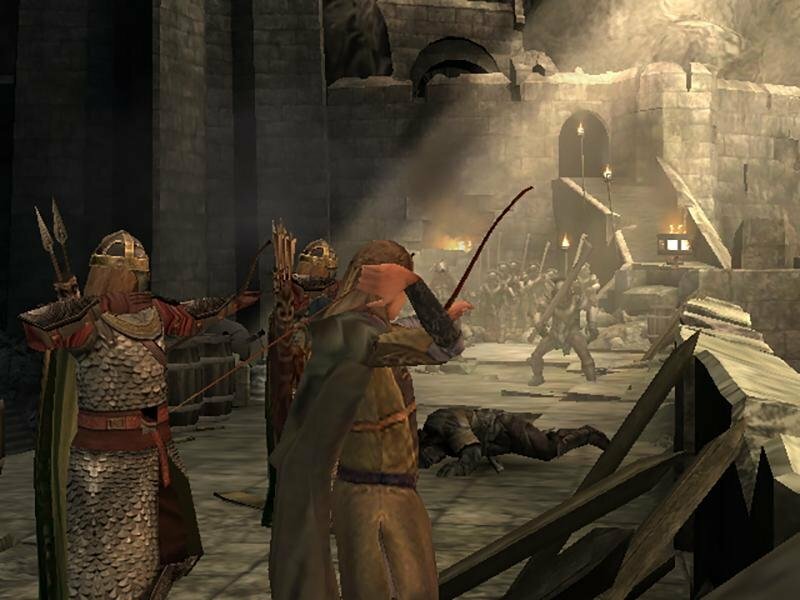 An action romp from beginning to end, you engage endless waves of orcs, undead, or other foes with a limited array of fighting combos in usually difficult to decipher camera angles. 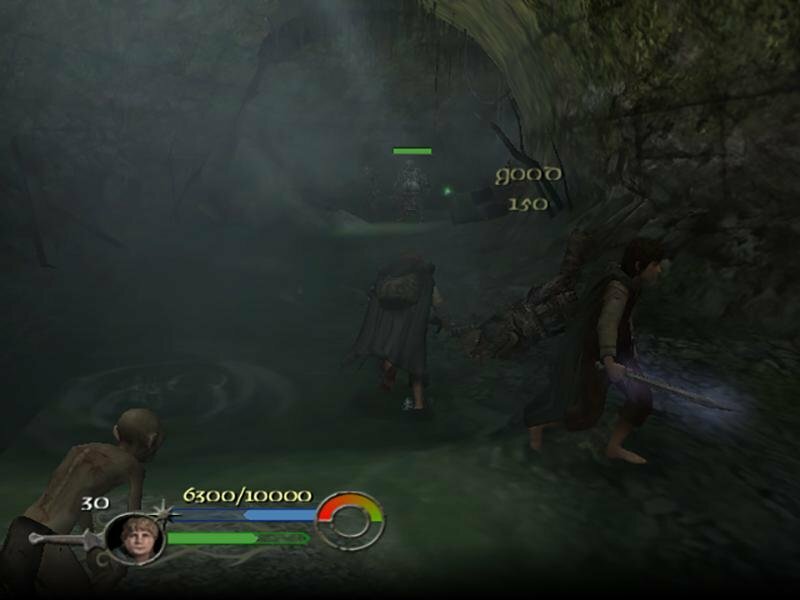 The sound effects are there, the graphics are there, and the voices are there, but it just doesn’t seem to coalesce into a harmonious action adventure.